Booking a tour is easy, just simply fill out the form below, or visit our Tours Page for in-depth descriptions. If you need any help, don’t hesitate to contact us. Single Booking, Group Booking. For group, fill in additional info below. 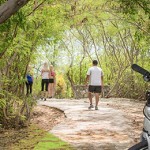 Improve your “ECO Rides Cayman Experience” with our transportation service which is more like an island tour to the eastern districts by your own local and private guide. Our aim is to provide guests with a truly local experience. 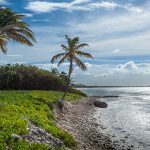 Included in our transportation service for guest from West Bay, Seven Mile Beach or Georgetown are brief stops at The Cayman Brewery and the Tortuga Rum Cake Factory. • We accept the following credit cards: American Express, Visa, MasterCard, and Discover. • We require a credit card to confirm the tour booking which we will only accept by direct phone call not by email. • We require that you contact us within one (1) day of receiving this booking email to avoid cancelation. The best time to call is after 1:00 PM in the afternoon. If your credit card details have already been provided please disregard this section of the email. 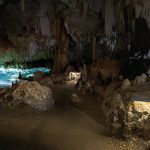 • A fifty percent (50%) cancellation fee will be applied anytime after the booking has been confirmed/processed. • Cancellations within twenty-four (24) hours of the tour booking are non-refundable. 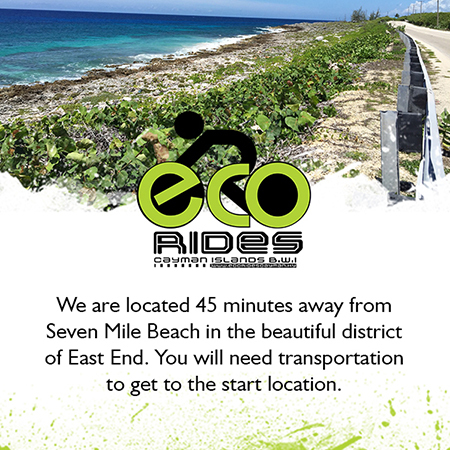 • Reservations cancelled due to weather, acts of God or circumstances beyond the control of ECO Rides Cayman will be rescheduled or subject to full refund.